Referring to the three dumping sites in Delhi the tribunal said, "Each of these sites is a depiction of mess that can be created for environment and health of people of Delhi." The directions came on a plea filed by Sukhdev Vihar Residents Welfare Association praying for closure of waste-to-energy plant alleging that it uses illegal mass burning technology which causes air pollution. 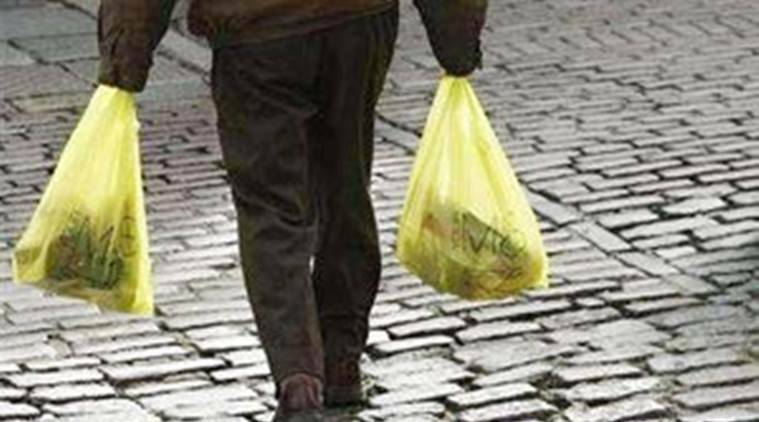 The National Green Tribunal on Friday banned the use of disposable plastic in Delhi and NCR with effect from January 1, 2017 and directed the city government to take steps to reduce dumped waste. A bench headed by NGT Chairperson Swatanter Kumar, however, refused to shut down the Okhla waste-to-energy plant and issued a slew of directions for its eco-friendly operation along with two other plants at Gazipur and Bhalswa. “We direct that the Okhla plant shall continue to operate subject to the order of the tribunal… All the corporations, DDA and other public authorities including NCT of Delhi are directed to take immediate steps for reduction and utilisation of dumped waste,” the bench said. It said, “We direct that use of disposable plastic is prohibited in entire NCT of Delhi. The Delhi government shall take steps for storage and use of plastic materials with effect from January 1, 2017.” The bench also constituted a joint inspection team comprising member secretaries of the Central Pollution Control Board (CPCB) and the Delhi Pollution Control Committee (DPCC), A senior scientist of the Ministry of Environment and Forests along with an IIT Delhi professor, be nominated by the IIT director, directing it to file its report within six weeks and supervise and visit the plants once in two months. The directions came on a plea filed by Sukhdev Vihar Residents Welfare Association praying for closure of waste-to-energy plant alleging that it uses illegal mass burning technology which causes air pollution. The bench, while directing the plants to “strictly follow” the prescribed norms provided in the Air (Prevention and Control of Pollution) Act and the Solid Waste Management Rules 2016, said they will be fined Rs five lakh for non-compliance of directions and each pollution incident. It also said that an environment compensation of Rs 10,000 will be imposed on the vegetable vendors and slaughter houses for throwing garbage in public places. It directed the Delhi government to make operational the Shastri Park Waste Disposal Plant in six weeks after DPCC said it required an environmental clearance. The government has also been asked to include a condition in all tenders for construction work that they will use the waste materials released by the plants for road construction.